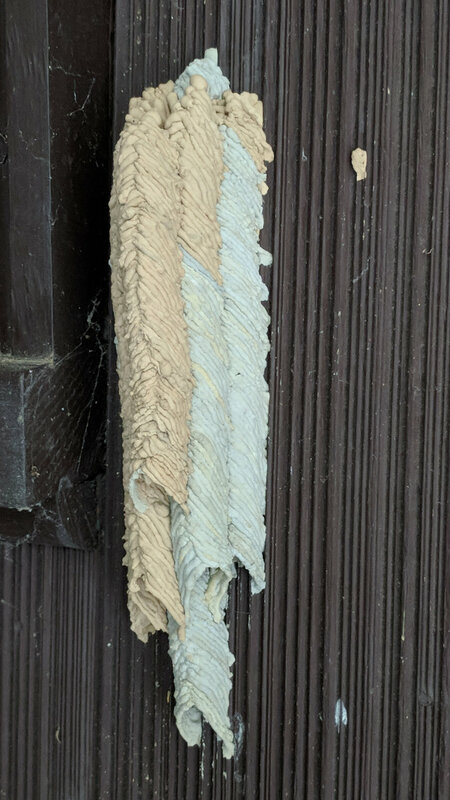 The side of our house seems to attract Organ Pipe Mud Dauber Wasps during nesting season. 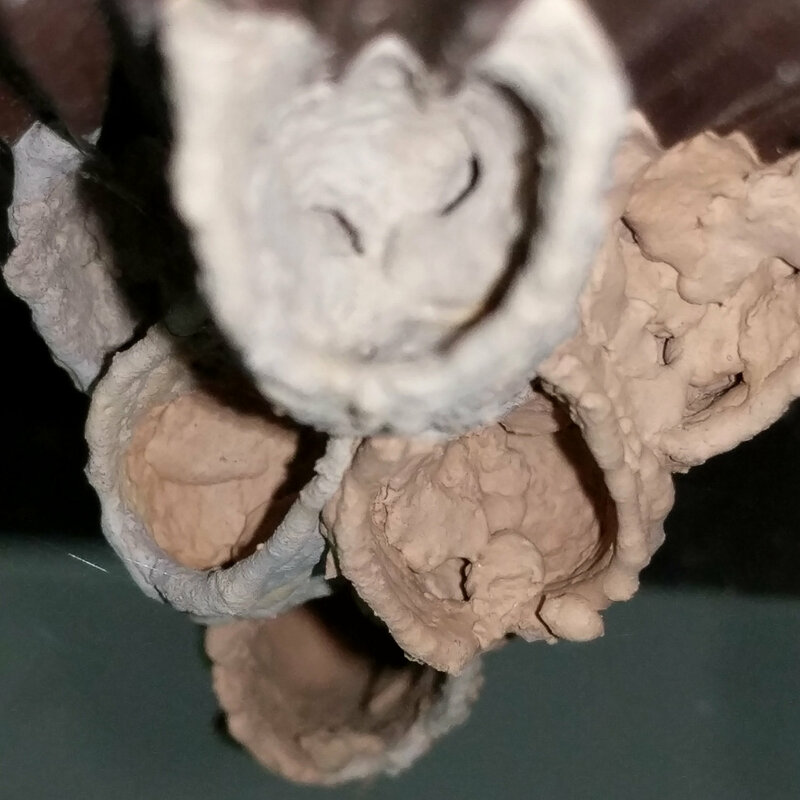 The female wasp built six tubes over the course of an August week, carrying blobs of mud the size of her head and abdomen from sources about 30 seconds away (1 minute round trip). Each blob produces half of one serration around the tube, with a seam running down the middle, and requires 20 seconds to smooth into place. We got tired just watching her! We watched the wasps attack, sting, and remove spiders of a specific size from the corners of our window frames. Perhaps layering the outer tubes around a central tube makes for a more compact and durable nest, with the possible sacrifice of offspring in the center. 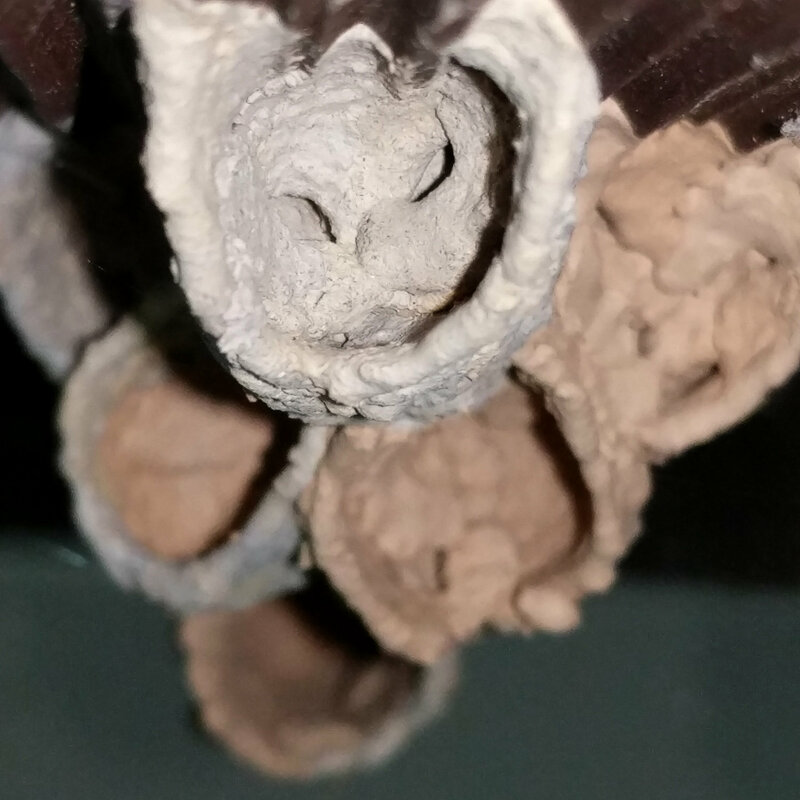 The new wasps will likely emerge next spring.